It’s time to submit your proposal for the Our Urban Futures Ideas Competition. Rules & guidelines here in Arabic and English: https://cairofrombelow.org/our-urban-futures/. Winning proposals have an opportunity at money prizes and will be getting published! View one of the entries about reclaiming the streets for the people on our Facebook page or HERE. 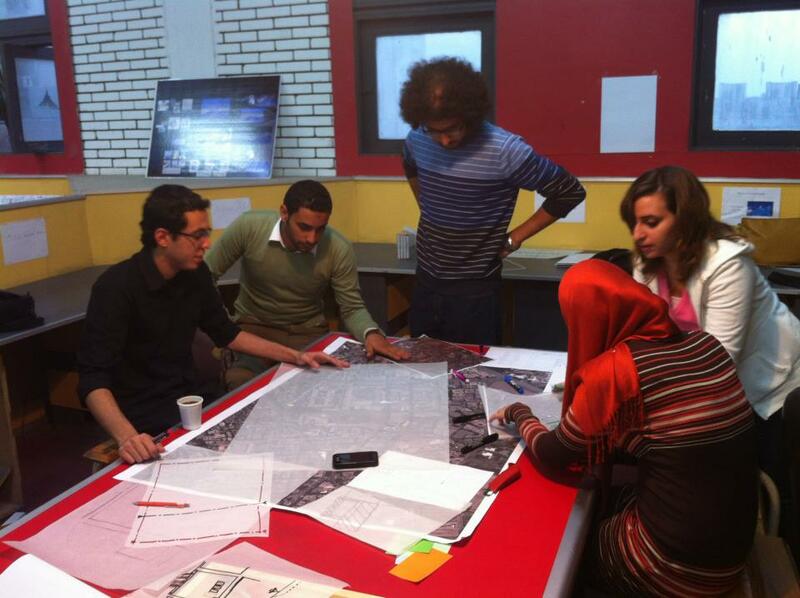 Photo from one-day inter-university workshop organized by Cairo From Below and Megawra, funded by the Global Travel and Learning Fund through IIE (Institute of International Education), and hosted by the Department of Architecture, Ain Shams University. Lookout for a workshop summary coming soon! Email cairofrombelow@gmail.com with any questions!